Everything involved in Better Watch Out lives in a strange place. From genre and tone, to its characters and script, this film seems to constantly hop between two states and, as a result, never truly finds its way. To its core, Better Watch Out is a home invasion film. 17-year-old Ashley (Olivia DeJonge) is spending the night babysitting 12-year-old Luke (Levi Miller) when suddenly they realise they might not be the only ones in the house. What follows is a mash-up between Scream and Home Alone which has neither the horror of the former or the joy of the latter, but plenty of visual references to both. Unfortunately Better Watch Out doesn’t really care about any of its characters, instead reducing them to poorly motivated, over-the-top caricatures which I ended up not caring about either and finding them placed somewhere in between the mildly-boring-to-shut-the-hell-up scale. It also doesn’t help that the majority of these characters are meant to be underaged, therefore some of the situations they are put in are unsettling at best. That being said, Olivia DeJonge delivers a good performance, but it’s a case of doing the best she can with what she’s given. In the end, Better Watch Out had me spend more time tearing my hair apart with frustration than covering my eyes with fear. 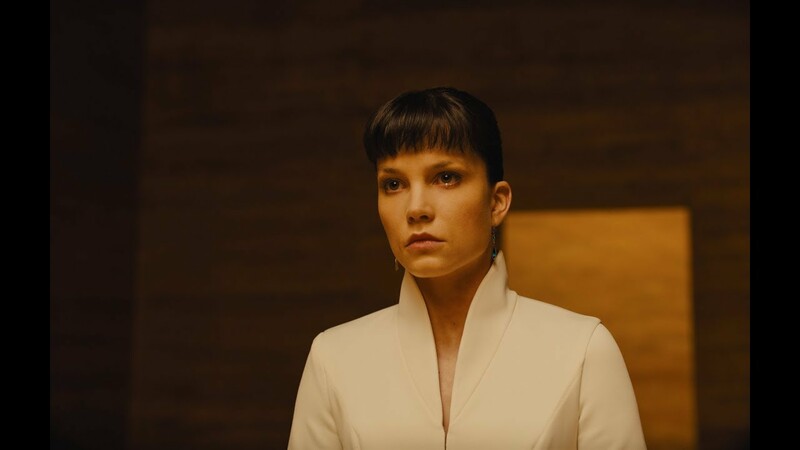 This article was originally intended to be a full analysis of Blade Runner 2049, but I felt necessary to put my thoughts down on what the women of the film mean, and why they are the better characters. Joi, an embodied AI, speaks those words to K, a replicant. These are two characters in this film and that is a line of dialogue set within the universe. However, it resonates at a meta-level. Bladerunner 2049 is a film that shouldn’t exist. It’s an anomaly of the studio-driven, money-based Hollywood system. It’s a sequel of a 35 year old film that bombed at the box office, a film that underwent the most convoluted releasing process in the history of cinema, a film which, still today, not many people know of, care about or understand. And somehow its forbidden child came to life. It’s been months since the release of Bladerunner 2049. I saw it on October 5th, opening day. I say this not to sound obnoxious, but because I feel that this film is an event. In 20 years we will be asked when did we see 2049, where did we see it, and what was it like? The experience (and it is an experience) of witnessing Dennis Villeneuve’s masterpiece roll before my eyes is something which is hard to put to words. It’s a monumentally reflective and contemplative film, one that dares to ask us where we are heading, this society designed by men, for men and controlled by men. Whilst the first Blade Runner (which I will refer to as 2019 from now on) was, among many things, about a group of characters facing what it means to be alive, 2049 is, to its core, characters looking for the means to create life, something that, both in human and in Replicants, only women can achieve. 2049 is populated with male characters, but the women are the ones who shine in this oppressive world. Rachel, Luv, and Joi have been revolving around my head, because their characters are intricate and make me question a lot of things. The Rachel we see in 2049 isn’t the same of 2019. Or is she? Does she have the memories of Rachel? When she sees Deckard, in the most emotional scene of the film, what is she thinking? This isn’t the Rachel that asked “Do you like our owl?” so many years ago, and yet…I can’t help but think there is something in there. Or maybe it’s just the way Wallace programmed this Rachel to act in front of Deckard. At first, I thought Luv was a simple goon to Wallace, an enforcer to the mastermind. But, upon rewatching the film multiple times, I discovered she is so much more than that. Luv goes above and beyond her programming. So much so that it’s strange to say she has a programming. That’s because she might just be the most human replicant we have seen in the Blade Runner universe (sorry Roy…). Her mission to find the child of Rachel and Deckard might have started as something she was ordered to do, but I think she is looking for something else. She is looking, herself, to be able to create life within her. She says it herself “I am the best”. But she isn’t, and that kills her inside. Jealousy drives Luv. And then there’s Joi. This is my favourite character of 2049 because, in many many ways, she is the only real Human. Blade Runner has always been about wanting more life. But that word really means “time” to every one. Except Joi. Programmed to live forever, constantly closed in the coldness of cyberspace, she transcends herself by developing feelings, emotions, and the desire for more life. One life. One single life. Because that’s what makes her “a real girl”. Whilst everyone is looking for more time, Joi is looking for the best time, even if it means she might die. And that is what being human is: knowing that one day you will die, and making the best of your time regardless. Blade Runner 2049 is out on DVD & Blu-Ray now! If you weren’t lucky enough to be at Disney’s D23 or San Diego Comic-Con earlier in the year, chances are that you’ve heard of some kind of mind-blowing presentation of the next Avengers film, with Spider-Man and Iron-Man fighting together, Thor meeting up with the Guardians of the Galaxy, and a bearded Captain Rodgers. You may have even been so desperate to watch this that you ventured into the darkness and tried to find some sort of copy online because you simply can’t handle the expectation. Last week, Marvel Studios has revealed the very first official look at Avengers: Infinity War. And what a look it is. If you haven’t yet, make sure to catch our Editor-In-Chief’s reaction and watch the footage here. Now that you’ve seen the trailer a good dozen times (I know I have) it’s time for probably my favourite part of the marketing of a comicbook film: easter egg hunting and speculation. I’ll start from the top of the trailer, highlighting things that surprised me, comicbook references and where I think this is all going. Feel free to join the discussion! This is the first, and probably biggest, thing to notice in this trailer. From the haunting rendition of Alan Silvetri’s excellent Avengers Theme, to the sinister imagery, this trailer is the darkest of all MCU trailers. It is also the best. It’s a trailer worried about not just throwing in some jokes and comic book imagery, but actually setting up a story and the stakes of the film. We finally get a proper good look at the Mad Titan. And he looks incredible. I mean, this is what performance capture was created for. Thanos is bearing the Infinity Gauntlet, and it’s interesting to note that, in the trailer, he already has two infinity stones: one purple and one blue. Over the course of the MCU’s 17 films, we have seen the majority of the stones, all of them have distinct colours and, based on their comicbook counterparts (called Infinity Gems) we can figure out what they do. There are a total of 6 Infinity Stones: Space, Mind, Reality, Power, Time and Soul. Thanos is seen, in this trailer, to hold the Power and Space Stones. Essentially, this means that he has gotten the Space Stone from the Tesserac and the Power Stone from the Orb in Xandar (the planet where the climax of Guardians of the Galaxy takes place). This leaves the Mad Titan within four Stones of being all-powerful. Just how many Stones will be in the Gaunlet by the end of Infinity War remains to be seen. My guess? Two more. From the moment Vision and Scarlet Witch were introduced in Avengers: Age of Ultron, the big question amongst comicbook fans was whether or not the MCU was going to go head first into the romance between the two characters. Well, the answer is, apparently, a thousand times yes. In the trailer we see Wanda and Vision sharing a bedroom and exchanging some incriminating looks. More on that, Vision is shown in full Paul Bettany glory! Whether this is due to Vision’s shapeshifting abilities (like the one displayed in Age Of Ultron with his cape) or is another extension of Wanda’s powers, remains to be seen. I was one of these people who had a massive problem with Spider-Man: Homecoming. That being said, I am excited to see more of Tom Holland’s Peter Parker and one of the moments of the trailer that gave me literal chills was the representation of his spider-sense. It’s simple and makes it less of an Deus Ex Machina and more of a fallible ability, which is good! We all like our heroes to have flaws. Another thing we see is that Iron Spider suit in action and it looks…fine? I actually like it a lot more that I was expecting, considering how much I despised it in Homecoming. Here, it looks good, with the colours not being too vibrant or off-putting. Yes, it was only for about 5 seconds, but the point still stands. Probably one of THE moments of the trailer was Captain America (bearded Captain America, aka NOMAD! Maybe?) grabbing the spear thrown by one of Thanos’ Black Order member, Proxima Midnight (God, I love comic books), and coming out of the shadows both literally and figuratively. This scene seems tied to a previous shot of Vision seemingly losing his Infinity Stone (although I don’t think that will happen just yet). For a bonus point, notice how Tony, previously, is using the cellphone Steve Rodgers has handed him at the end of Civil War. Continuity, right?! The trailer seems to imply that the majority of the action will occur in two location: New York and Wakanda. New York makes sense because almost all the films in the MCU have taken place there, including the invasion in Avengers: Assemble. Plus, Stephen Strange is around and Thanos may want a little something the Doctor carries around his neck. My bet is that the last Infinity Stone will be there, and we will be introduced to it in 2018’s Black Panther. Maybe there’s some connection between the Totem of the Black Panther and the Soul Stone? It would be an interesting twist from the comics and would save any complications/introduction of different types of magic. Or maybe I’m wrong and the MCU will decide to introduce Adam Warlock. One of the two. I am going to be blunt; I thought Captain America: Civil War was going to bring some casualties into the MCU. I thought Cap was done for. Alas, I was wrong. The Mad Titan needs a big entrance. A proof that he is an enemy unlike any other the Avengers have ever faced. And what better statement to make than to kill one of the big heroes? The bets on who will die vary. Personally, I think Steve Rodgers will not make it out of Infinity War, which will be devastating, but necessary. Or maybe the big deaths will come in Avengers 4? So that’s it for my ramble on that incredible trailer. But I want to hear what YOU have to say. What are your thoughts on the Avengers: Infinity War trailer? Yes, Gerald’s Game breaks rule number one as, being distributed by Netflix, it’s a film which didn’t have a theatrical release, however it’s still worth mentioning as this is the best Stephen King adaptation of the year (sorry IT…) and counts with Carla Gugino and Bruce Greenwood at their best, it also has what might just be one of the most gruesome scenes of the year which will stay with you for a long long time. 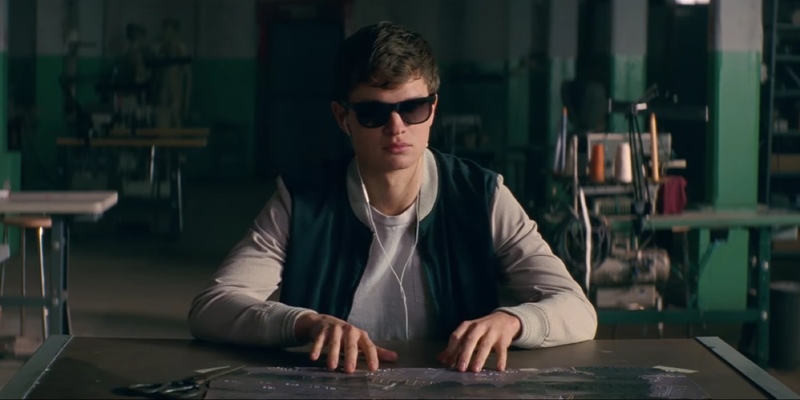 Arguably one of the biggest and most surprising hits of the Summer, Baby Driver can be classified as the first of its genre, as in the action-musical genre. Edgar Wright’s script is sharp and fast-paced, much like the astounding directing of Baby’s driving stunts. The film allows itself some breathing space with the love story of Baby and Deborah in which we witnessed some of this year’s best on-screen chemistry between Ansel Elgort and Lily James. Leaving The Beguiled out of the list of nominees was quite difficult. I distinctively remember saying, upon finishing it, that “the Oscar race starts here” as Sofia Coppola’s slow-burning thriller had left me floored with its incredible performances, beautiful cinematography and cruel story. Ultimately, this an masterfully well crafted film that has something to say about the society of 2017, despite being set in 1864.